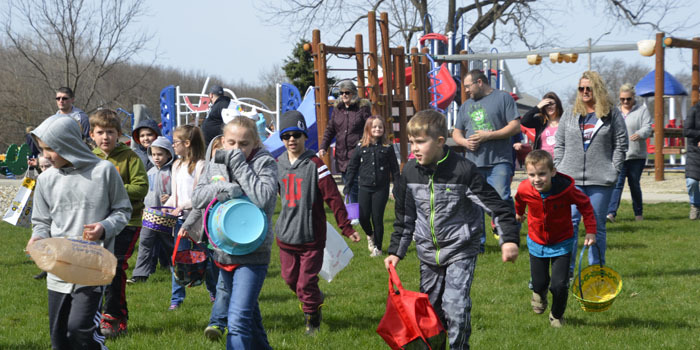 SILVER LAKE — The Silver Lake Lions Club hosted its 35th annual Easter egg hunt Saturday, April 13, at Rambler Park in Silver Lake. 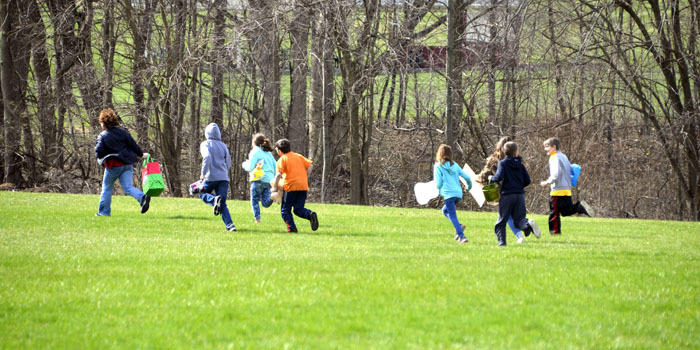 Just under 120 children, up to grade 6, gathered at the park to collect eggs. 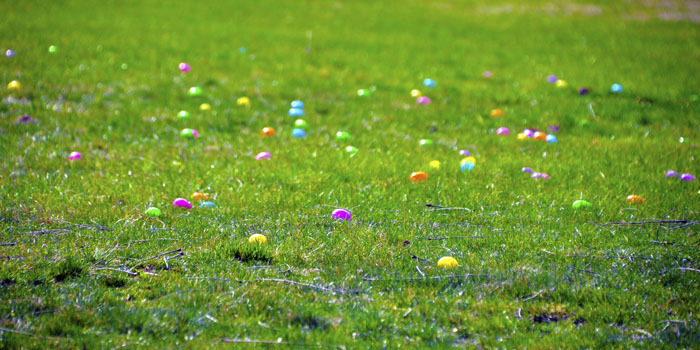 Approximately 3,500 eggs were scattered around the park area. Participants were divided into five age groups: 0-1, 2-3, 4-6, 7-9 and age 10 through sixth grade. Prizes were awarded in each group. Children brought a variety of baskets, bags and other containers to carry their eggs in. A silver egg and a gold egg were included in each age group. 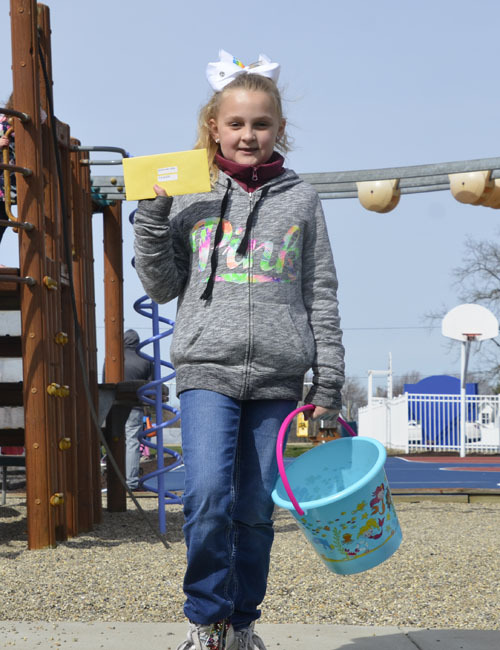 Children who found those eggs received a special gift. 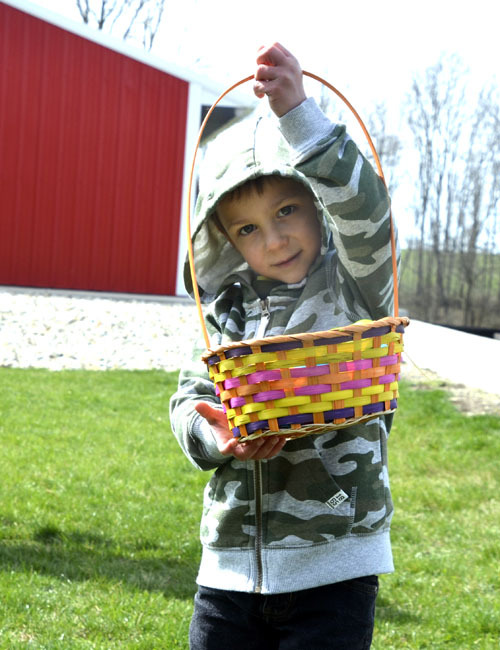 Quinn Burkhart displays his basket of eggs. Chloe Gunkel found the silver egg in her age category. The silver egg consisted of a special gift. There were five age categories. Some of the older participants shown here running through their designated age area to look for eggs. 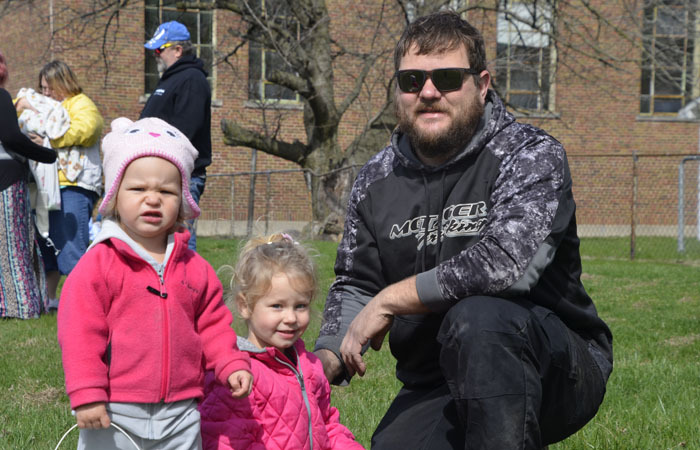 It was reported that 118 kids participated in the Silver Lake Lions Club Easter egg hunt. 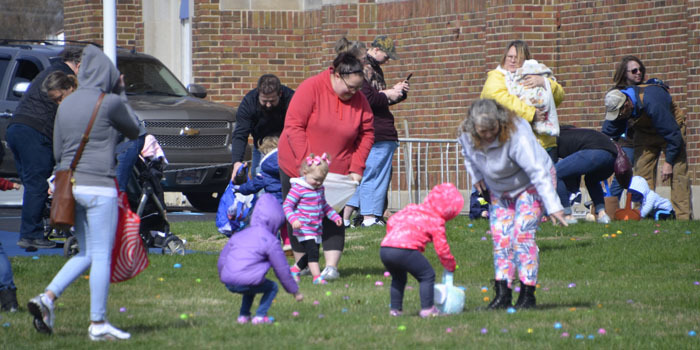 Colorful eggs were scattered around the Rambler Park area for children to collect.